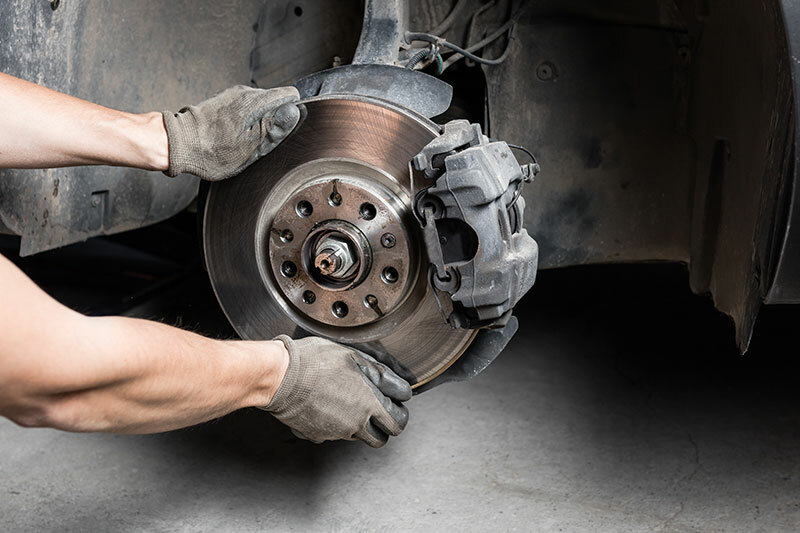 You may not think of them as often as you would an oil change, but your vehicle’s brakes are one feature that should always be in top working condition. The dangers of driving with damaged brakes are unlimited, don’t put yourself or your passengers in danger by not listening to the warning signs. The first way to check to see if your brakes are working properly is by simply looking at your brake pads through the spaces between the wheel’s spokes. The outside pad will be pressed against a metal rotor. Generally, there should be at least 1/4 inch of pad. If you see less than 1/4 inch of pad, you may want to have your brake pads inspected or replaced. If looking isn’t working, then trust your ears. Have you heard a high-pitched screeching sound when you apply your brakes? If so, you’re hearing a small metal shim, called an indicator, which is giving you an audible warning that you need to replace your brake pads. You should be aware of this sound (it’s loud enough to hear while the windows are up but not necessarily loud enough to be heard over the radio and or air conditioner). If you hear it regularly, quickly make an appointment with your mechanic. If you’ve experienced any of these, you should visit a reliable repair shop as soon as possible. If your vehicle “pulls” to one side while braking, it may be a sign that the brake linings are wearing unevenly or that there is foreign matter in the brake fluid. Your vehicle may need a brake adjustment or to have the fluid drained and replaced. This loud metallic sound means that you have worn down the pads completely, most likely beyond replacement. The grinding or growling noise is caused by the two pieces of metal (the disc and the caliper) rubbing together. This can “score,” or scratch your rotors, creating an uneven surface. If this happens, do not be surprised if your mechanic tells you that the rotors need to be “turned” (a process that evens out the rotor surface), or even replaced. A vibration or pulsating brake pedal is often a symptom of warped rotors (but can also indicate that your vehicle is out of alignment). The vibration can feel similar to the feedback in the brake pedal during a panic stop in a vehicle equipped with anti-lock brakes. It is a sign of warped rotors if the vibration occurs during braking situations when the anti-lock brakes are not engaged. For many vehicle owners, maintaining the vehicle’s brakes is something that is often overlooked. Remember, keeping your brakes properly calibrated and in good working condition can prevent costly repairs, and more importantly, prevent a collision. If you own a vehicle that’s in need of repair and cannot drive it from one destination to the next, contact us at Auto Transport 123!